Is the Basking Shark a Vegetarian? You're hanging out at your favorite beach, and suddenly a fin slices through the water (cue the Jaws music). Oh no, what is it? There's a good chance that it's a basking shark. But not to worry. This huge shark is just a plankton eater. The basking shark is the second-largest shark species and can reach lengths up to 30-40 feet. Weights for the basking shark have been estimated at 4-7 tons (about 8,000-15,000 pounds). They are filter-feeders who are often seen feeding near the surface with their huge mouths agape. Basking sharks got their name because they are often seen “basking” on the surface of the water. It may appear the shark is sunning itself, but in fact, it is often feeding on tiny plankton and crustaceans. While it is at the surface, its prominent dorsal fin, and often the tip of its tail, can be seen, which may cause confusion with the Great White or other more threatening shark species when a basking shark is seen from land. Basking sharks have been reported in all oceans of the world. They are found mainly in temperate waters but have also been seen in tropical areas. During the summer, they feed near on plankton near the surface in more coastal waters. It was once thought that basking sharks hibernated on the ocean bottom in the winter, but some research shows that they migrate to deeper waters offshore and also shed and re-grow their gill rakers, and a study published in 2009 showed that basking sharks traveled from Cape Cod, Massachusetts, all the way to South America in the winter. Each basking shark has 5 pairs of gill arches, each with thousands of bristle-like gill rakers that are up to 3 inches long. Basking sharks feed by swimming through the water with their mouths wide open. As they swim, water enters their mouth and passes through the gills, where the gill rakers separate out plankton. The shark periodically closes its mouth to swallow. Basking sharks can strain up to 2,000 tons of salt water per hour. Basking sharks have teeth, but they are tiny (about ¼-inch long). They have 6 rows of teeth on their upper jaw and 9 on their lower jaw, totaling about 1,500 teeth. Basking sharks are ovoviviparous and give birth to 1-5 live young at a time. Not much is known about the basking shark's mating behavior, but it is thought that basking sharks exhibit courtship behavior such as swimming parallel to each other and gathering in large groups. During mating, they use their teeth to hold on to their partner. The gestation period for the female is thought to be about 3 ½ years. The basking shark pups are about 4-5 feet long at birth, and they immediately swim away from their mother at birth. The basking shark is listed as vulnerable on the IUCN Red List. It is listed by the National Marine Fisheries Service as a protected species in the western North Atlantic, which banned hunting of the species in U.S. Federal Atlantic waters. Basking sharks are particularly vulnerable to threats because they are slow to mature and reproduce. Hunting for liver: The basking shark was hunted widely for its huge liver, which is full of squalene (shark oil) and is used as a lubricant, in cosmetics, and in supplements. Shark fin soup: The basking shark is also hunted for its large fin, which is used in shark fin soup. Hunting for meat: The basking shark has been hunted for its flesh, which can be eaten fresh, dried or salted. Bycatch and entanglements: Sharks are also susceptible to entrapment in fishing gear intended for other species (bycatch), either while the gear is actively being fished or when it is "ghost" gear lost in the ocean. 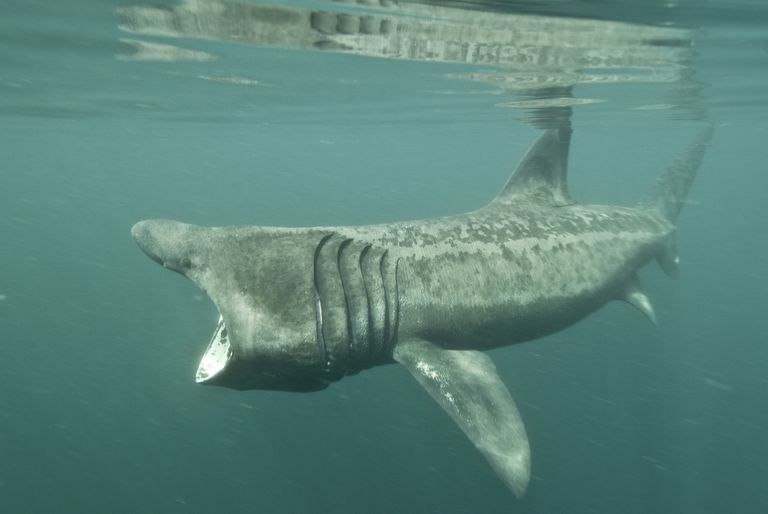 Basking sharks were hunted extensively in the past, but hunting is more limited now that there is greater awareness of the vulnerability of this species. 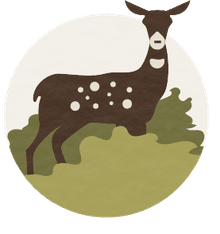 Hunting now occurs mainly in China and Japan. Fowler, S.L. 2000. Cetorhinus maximus. 2008 IUCN Red List of Threatened Species. (Online). Accessed December 17, 2008. Knickle, C., Billingsley, L. & K. DiVittorio. 2008. Basking Shark. Florida Museum of Natural History. (Online). Retrieved November 3, 2008. MarineBio. Cetorhinus maximus, Basking Shark MarineBio.org. (Online) Retrieved November 3, 2008. Martin, R. Aidan. 1993. "Building a Better Mouth-Trap - Filter Feeding”. ReefQuest Centre for Shark Research. (Online). Accessed December 17, 2008.